SUMMARY: LET LEEDS are proud to present a fantastic sized 2 bed through terrace property in Garforth. The property has undergone a huge transformation and benefits from a brand new bathroom and kitchen, as well as being fully plastered, painted and re-carpeted throughout. LAYOUT: This lovely house briefly comprises; entrance leading into the lounge, with a wonderful kitchen dining area to the rear of the house, and back door leading to a back yard, to the first floor there are 2 double bedrooms and a house bathroom. LOUNGE: Good size lounge with double glazed window, central heating radiator, neutrally decorated and carpeted. 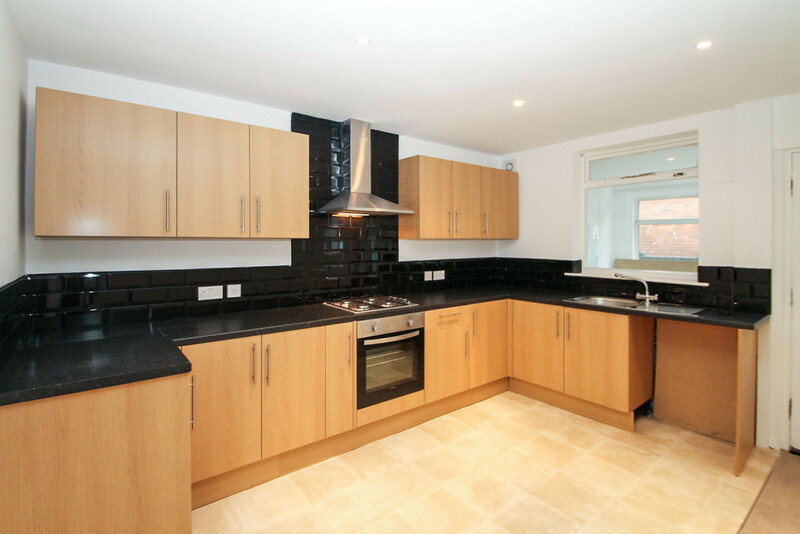 KITCHEN / DINING ROOM: Excellent fully refurbished kitchen, dining area with lots of storage space, stainless steel sink and gas hob, built in oven and extractor, also with access to a small conservatory and rear yard. BEDROOM 1: Double bedroom, neutrally decorated and carpeted with double glazed fire escape window and central heating radiator. BEDROOM 2: Also located on the first floor, a double bedroom, neutrally decorated and carpeted with double glazed fire escape window and central heating radiator. BATHROOM: A bright and neutral bathroom, with bath and over head shower, WC and sink basin.